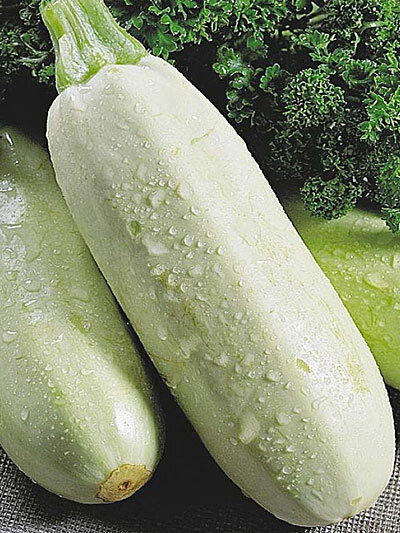 What is the right name for this vegetable (see the picture above)? I usually call it a (vegetable) marrow. Vegetables can often be called different things in different places. It is difficult to get a sense of the size of the vegetable from the photo. There are a few different varieties with a similar appearance, I am not able to tell you for certain which one it is. To me as a Brit, that vegetable looks like (and I would call it) a courgette (I assume it would be zucchini in AmE, but I could be wrong). Courgettes can come in a few different colours, including dark green (the most common), light green and yellow. It could also be a spaghetti squash, or a courgette-spaghetti squash hybrid, but this is not a variety I have ever come across or heard of before (other than on Wikipedia while researching this answer). It could be called a marrow, but marrows are much bigger (at least in the UK, they are essentially large courgettes) and it doesn't look that big. Most British people would mainly associate a dark green variety with the word marrow. I would never call it simply a squash, even it is technically one, because to me (and most Brits) that means a butternut squash. This type of plant is called "a squash" and the one shown in the image is "a marrow"
Wikipedia says that this variety of squash is called Zucchini (/zuːˈkiːniː/, American English) or courgette (/kʊərˈʒɛt/, British English), however, I disagree, it doesn't look like Zucchini at all. Ps. In Russian it is "Кабачок"